No co-op campaign in sight...still. 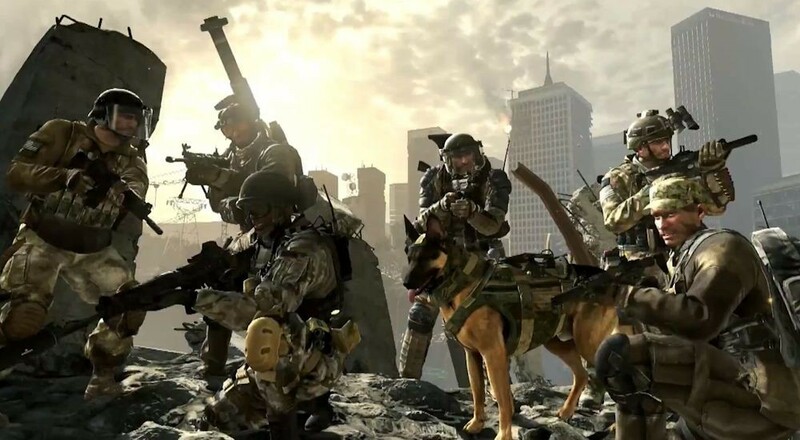 Better late than never, Infinity Ward have finally announced that Call of Duty: Ghosts will feature cooperative gameplay across three separate modes when it is released on Xbox 360, PlayStation 3, PC, PlayStation 4, and Nintendo Wii U and Xbox One in November. The co-op mode in Call of Duty: Ghosts takes place under a section called squads. This multiplayer focused area of the game allows players to team up with friends against AI in various objective based modes. Ok, so not all. It's still unclear as to how many maps, objectives, or options are available in Wargames. The goal of "Squad Assault' is a bit unclear. Either way it's nice to see some co-op modes showing up in the latest Call of Duty game. The Spec-Ops missions from Modern Warfare 3 were a lot of fun, so I'm sort of disappointed to not see them returning. That said, there's some solid potential here for some really replayable co-op. The fact that it feeds into your multiplayer rankings and unlocks is a big perk. We'll try to nail down if there's any local split-screen support in the game, but for now, it seems co-op in Ghosts is online only. We're still waiting for a Call of Duty game with a co-op story mode. One of these yearly releases is bound to have it someday.